When you’ve finally zeroed in on a potential target at a car dealer, the decision-making aspect of the car-buying experience hasn’t ended. Rather, customers will be presented with a number of helpful warranty offerings. Regardless of what issue you’re worried about, you’ll surely be able to find a relevant plan that’s available via Chevy. The brand provides their customers with an assortment of protections for various aspects of a vehicle, whether it be the powertrain, tires, engines, and even the sheet metal body construction. These repairs are generally pretty expensive, but customers will be able to save a chunk of money when they’ve added one of these warranties to any of Chevy’s vehicles. While all of the brand’s vehicles are reliable, there’s no denying that issues will occasionally pop up, and these warranties will provide you with all of the protections you need. This is a deal that you’ll often see included with many brand’s new vehicles, not only Chevy. This warranty will come in handy when your car experiences any minor fender bender or cosmetic damage, as owners can easily have their vehicle repaired to look good as new. This deal surprisingly includes tires, and the coverage will last for three years or 36,000 miles. Repairing many of your vehicle’s mechanical aspects can ultimately be pretty costly, but owners won’t have to worry when they opt for this specific plan from Chevy. Lasting for five years or 60,000 miles (five years, 100,000 miles for Silverado 2500HDs and 3500HDs accompanied by the 6.6-liter Duramax Turbo-Diesel engine), this deal will be especially useful when there’s an issue with any area of your powertrain. Owners can extend these services even more by opting for the brand’s Powertrain Component Limited Warranty Coverage. This system will cover even more mechanical problems, especially when it comes to the engine and powertrain. This is especially important if you’re worried about the vehicle’s reliability, as Chevy will cover any mechanical issue that is attributed to vehicle failure. Many drivers want to maintain the exterior aesthetics of their new ride, but this is often easier said than done. Fortunately, Chevy’s sheet metal warranty will cover any of these cosmetic issues. The brand is willing to cover any corrosion damage as long as it’s handled in the first three years or 36,000 miles on the road. The brand also offers a “rust-through” coverage, which lasts for 6 years or 100,000 miles. If you’ve found that the weather is compromising the quality of your recently-purchased Chevy vehicle, these warranties should have you covered. There’s nothing more frustrating than purchasing a vehicle and promptly seeing it fail due to the fault of the brand or engineers. While that’s rather unlikely when it comes to Chevy’s array of vehicles, their Limited Warranty Coverage will handle any of these relevant issues. If there’s a problem with the vehicle that’s beyond the owner’s control, Chevy will have you covered for three years or 36,000 miles. Best of all, these repairs don’t require a deductible, so you won’t have to use any of your hard earned money if any issues pop up. Customers can choose to have their engine specifically covered for any issues that may suddenly (and inconveniently) appear. This ends up being an especially advantageous deal for the buyer, as the plan will account for all “internally lubricated parts, engine oil cooling hoses, and lines.” The plan will also cover any engine actuators or electrical aspects of the engine, which tend to be especially prone to failure. The brand is even willing to cover the engine’s timing belt and cooling system, although any sensors, wires, radiators, or coolant components do not fall under this specific warranty. 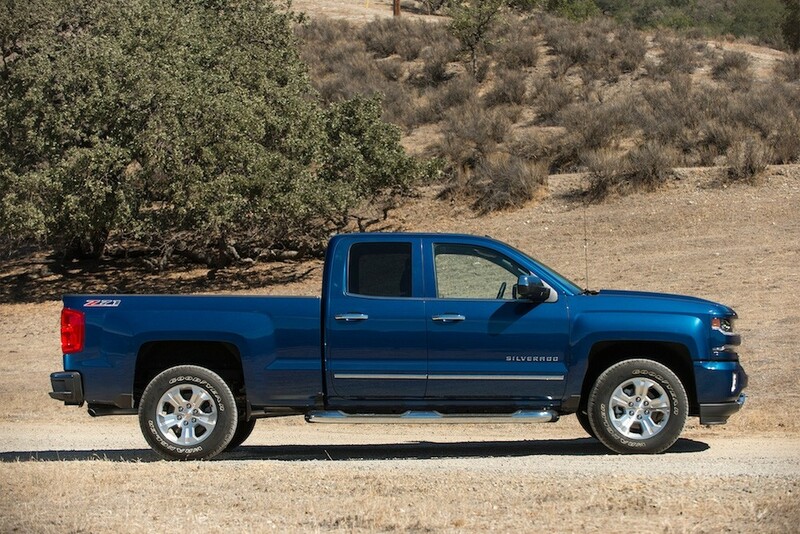 Chevy is also willing to cover any diesel engines or components, providing some security for those who are seeking a vehicle that includes these unique engines. This specific warranty truly covers every aspect of the system, including the Emissions Reduction System, the Glow Plug Control System, and the Fuel Injection Control Module. If your previous vehicle ever encountered a transmission problem, then you’re surely familiar with how pricey these repairs can be. Fortunately, Chevy’s transmission warranty will cover every aspect of the system. If a driver notices any failure to the torque converter, seals/gaskets, or any electrical components, they’ll surely be covered. It’s important to note that the brand won’t take responsibility for any issues with the hoses, radiators, clutch/pressure plate, and Transmission Control Module. Chevy is ready to take responsibility for any defects that you may run across when inspecting your recently-purchased vehicle’s tires. When the brand replaces your tires, they’ll use a prorated value to install the proper value-based tires to your car, although you may be able to negotiate a deal that sees you paying a bit more for upgrades. It’s important to remember that general wear and tear aren’t covered by this particular warranty, although the specific tire brand may provide their customers with some additional protections. Not all brands are willing to provide towing services for your vehicle when it suddenly breaks down, but Chevy isn’t like every other car brand. Rather, Chevy is focused on the satisfaction of their customers, and that’s why they’ve provided their owners with a towing warranty. In the event that a vehicle does break down, customers can have their car towed to the nearest Chevrolet dealer. This applies to vehicles that can’t operate due to a “warranted” defect. The brand also offers a Courtesy Transportation Program, which includes a useful 24-Hour Roadside Assistance Program. Whenever a driver finds themselves with a relevant issue, they can rely on the brand’s emergency towing service, lockout service, flat tire change service, and jump-start service. Instead of having to pay out of pocket for each of these offerings, they’ll all be covered with the brand’s available warranties.